Enjoy online French classes with an experienced tutor via Skype. Follow a plan that is tailored to your personal needs. Lingoci is rated an average of 4.8 stars out of 5 by students from around the world. Interactive, customised & effective lessons. Improve your French rapidly with lessons that are tailored to your goals, level and interests. You’ll learn online with a dedicated tutor, communicating and sharing learning materials just as you would in a classroom. Learn at times that suit you from any location. 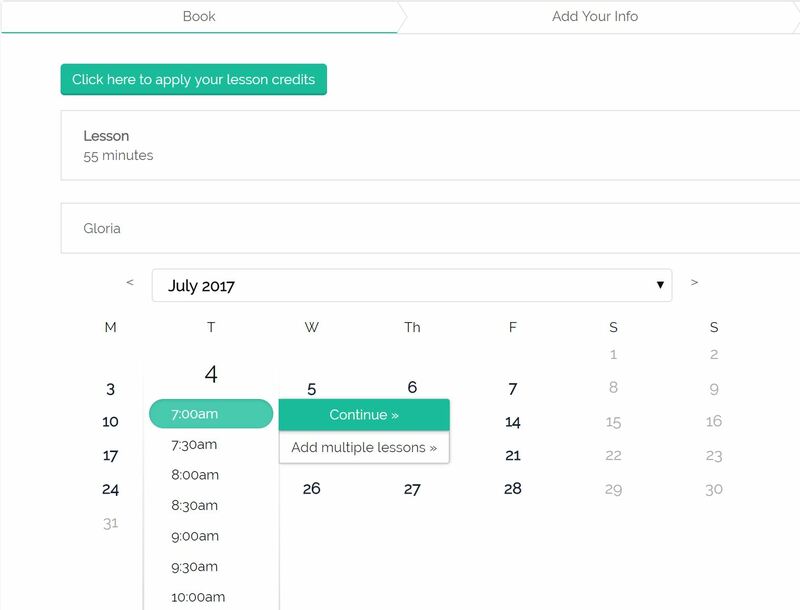 Our advanced scheduling technology allows you to book lessons with ease. You can even add them directly to your online calendar and receive email and SMS reminders to help keep you organised. All of the French tutors on our platform have been carefully selected to ensure a high standard of teaching. All of the tutors speak English well & will make you feel comfortable, even if you’re a beginner. 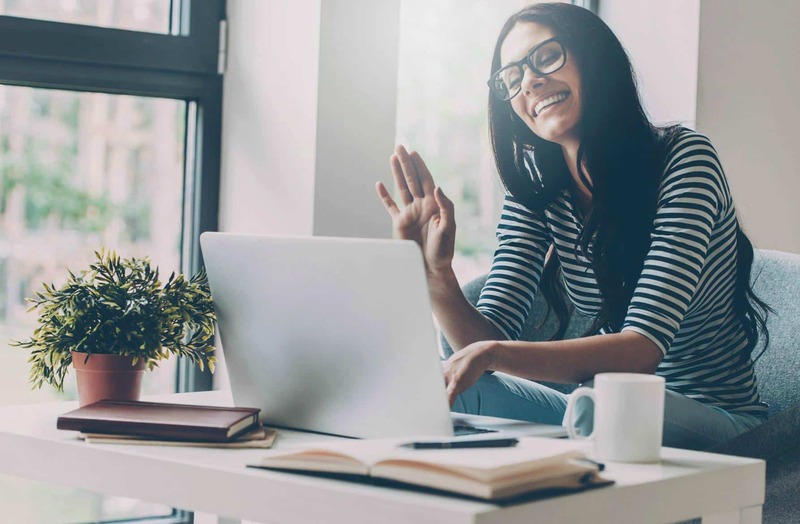 When you sign up for a trial session, you’ll be able pick a tutor yourself, or we can match you with a tutor based on your needs & availability. From: Brittany, France; Suitable for: All levels, ages & learning needs; Typical Availability: Every day except Mon. From: Tours, France; Suitable for: All levels, ages & learning needs; Availability: Every day. From: Paris, France; Suitable for: All levels, ages & needs; Typical Availability: Every day except Sun. From: Bordeaux, France; Suitable for: All levels, ages & learning needs; Availability: Every day except Sun. From: Granville, France; Suitable for: All levels; all needs except exam help; age 14 and up; Typical Availability: Every day except Sat. From: Albi, France; Suitable for: All levels & learning needs; age 14 and up; Typical Availability: Weekdays & Sunday evenings. From: Lorient, France; Suitable for: All levels and needs; Adults only; Typical Availability: Weekdays. From: Sedan, France; Suitable for: Adults – Basic, Intermediate & Advanced; Typical Availability: Every day except Mon & Tues.
From: Drôme, France; Suitable for: All levels, ages & needs; Typical Availability: Every day. From: Lievin, France; Suitable for: All levels, ages and learning needs; Typical Availability: Every day. From: Ottignies, Belgium; Suitable for: All levels, ages and learning needs; Typical Availability: Weekdays & Saturday mornings. From: Vred, France; Suitable for: All levels & learning needs; age 14 & up; Typical Availability: Variable. From: Clermont-Ferrand, France; Suitable for: All levels, ages & learning needs; Typical Availability: Weekdays. From: St Cyr l’Ecole, France; Suitable for: All levels, ages and learning needs; Typical Availability: Every day except Mon. From: Lyon, France; Suitable for: All levels, ages & learning needs; Typical Availability: Every day except Sat & Mon. From: Beziers, France; Suitable for: All levels & ages; all needs except exam help; Typical Availability: Every day. From: France/Morocco; Suitable for: All levels & ages; All needs except exam preparation; Typical Availability: Every day. From: Paris, France; Suitable for: All levels & learning needs, age 14 and above; Typical Availability: Every day. Sherebanu has a wealth of experience teaching in institutes across the world, including corporate training and working for Alliance Française. She is also a certified examiner for the DELF exams and has a Diploma in teaching French as a foreign language. Her students describe her as friendly, enthusiastic and knowledgeable. In her free time, she likes to read books, watch films and bake cakes! From: Montpellier, France; Suitable for: All levels; all needs except exam prep; age 14 and up; Typical Availability: Every day. Florian is a talented tutor who works hard to create lessons that are enjoyable, well prepared and effective. Students remark that he’s very supportive and is great at explaining grammar rules. Florian gained a degree in IT before discovering his passion for teaching and learning languages. He now speaks five languages, including Italian, German and Spanish. If you’re new to Lingoci and you think that one of the tutors above might suit your needs, you can take a 30 minute trial session. Already taking lessons? You can book here.